He will take over the role from Peter Henshaw, who is retiring after nearly four decades at the energy giant. 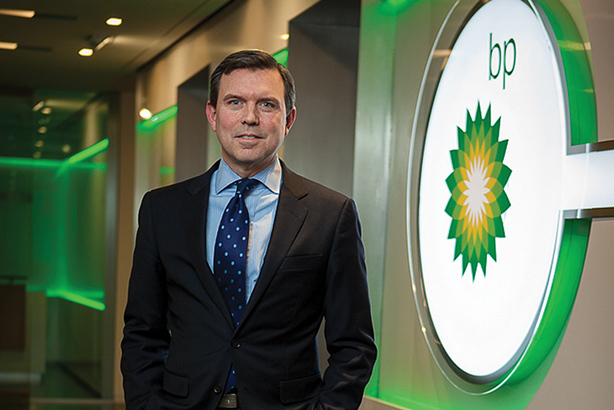 LONDON: Geoff Morrell is set to take over as group head of communications and external affairs at BP this summer, succeeding Peter Henshaw, who is planning to retire at the end of July after 36 years at the energy company. Starting in the role on August 1, Morrell will report to group CEO Bob Dudley, according to an internal announcement obtained by PRWeek. Morrell is currently the company’s SVP for U.S. communications and external affairs. VP and head of U.S. government affairs Mary Streett will replace him in that role. Streett will report to John Mingé, chairman, president, and CEO of BP America. "I have truly loved leading BP’s communications and government relations team in the U.S. and am honored and excited about the opportunity to now do so globally for the company from our London headquarters," Morrell said, via email. "I am confident the U.S. team will be in good hands with Streett taking over." Morrell joined the company in 2011 as head of comms for BP America after serving as the Pentagon’s press secretary. He was the chief spokesperson for former Defense Secretary Robert Gates and the U.S. military under Presidents George W. Bush and Barack Obama. Previously, Morrell was a TV correspondent for 15 years, including four covering the White House for ABC News. Henshaw joined BP in 1980 as a lawyer in Australia, working for its minerals business and eventually moving on to external affairs positions in Azerbaijan, Turkey, and Russia. He was named group head of communications, a newly created role, in 2011 and revamped all functions related to communications and external affairs. Henshaw globalized its advertising, government affairs, and philanthropy functions and united them in an integrated division with about 400 staffers. Dudley credited him in the internal announcement with serving as a "strong public advocate…during the litigation phase" in the aftermath of the 2010 Deepwater Horizon Oil Spill.